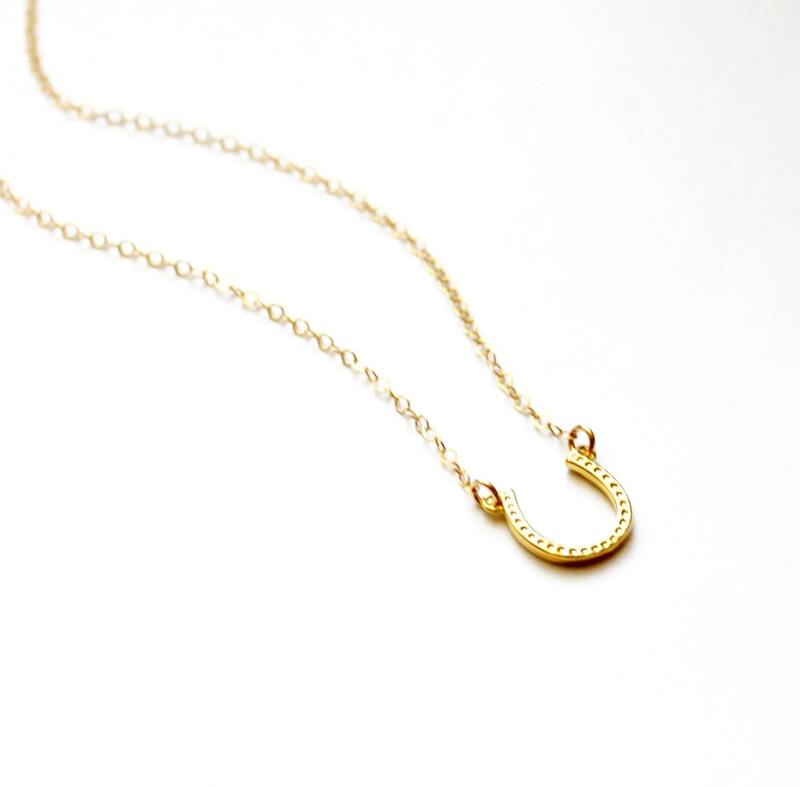 This dainty necklace is the perfect token for good luck. 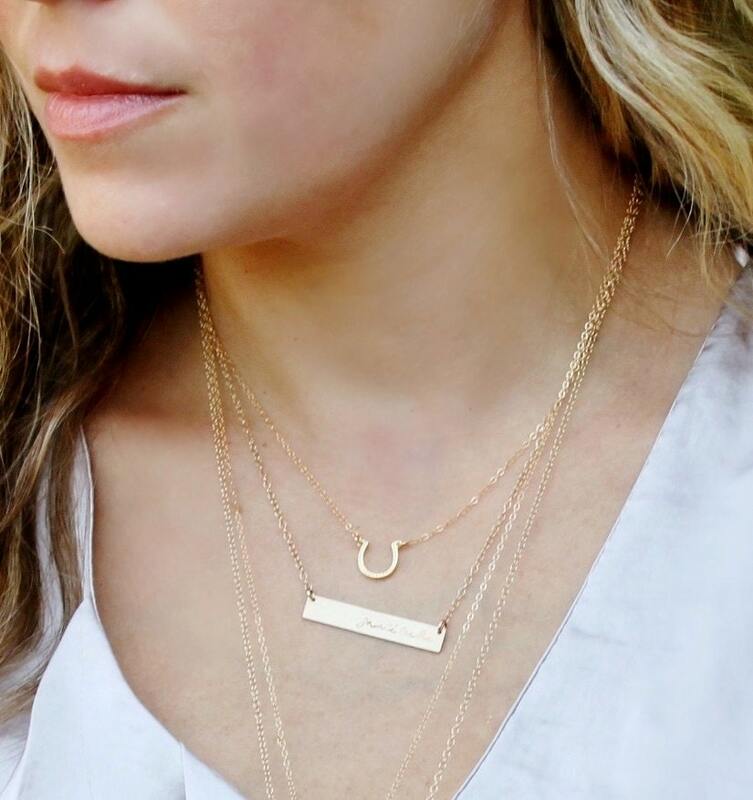 Perfect for layering or as a thoughtful gift, this delicate gold necklace will b a favorite. 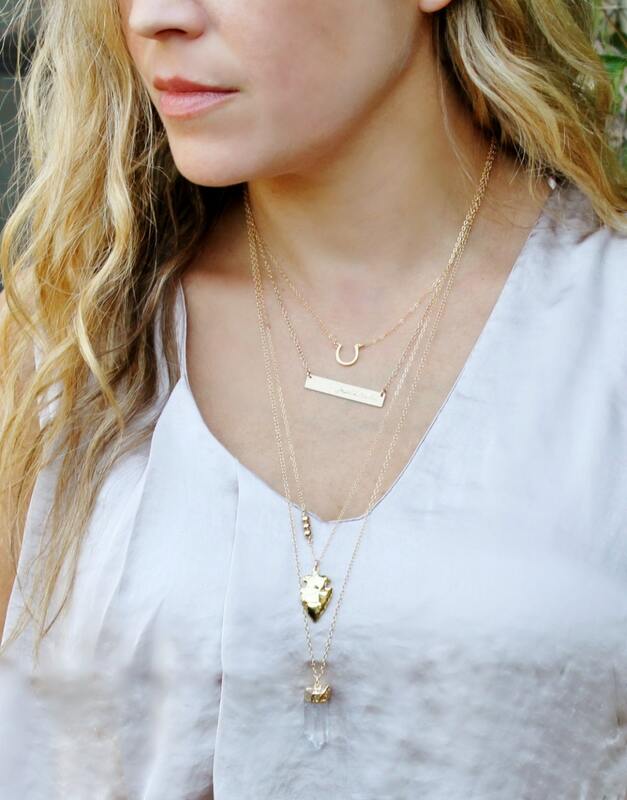 love this cute and dainty necklace! love the detailed design! Have made multiple purchases from this seller. Beautiful as always! I've had this for a couple months and love it so far! I wear it in the shower and it hasn't faded. 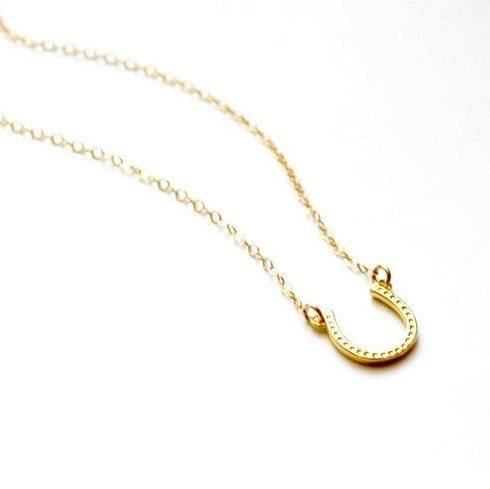 I ordered the horseshoe pendant for my granddaughter who loves horseback riding. It is a lovely delicate necklace. I think she will love it. Thank you for prompt delivery.